The information presented on this page was originally released on January 16, 2017. It may not be outdated, but please search our site for more current information. If you plan to quote or reference this information in a publication, please check with the Extension specialist or author before proceeding. They seem to show up at my house every day, whether in sunny, rainy, warm or cold weather. They're relentless. I'm not referring to home-security sales folks; I'm talking about gardening catalogs. These catalogs arrive in all shapes and sizes, in full color or black and white, and they all encourage us to make sure we're ready for spring. This spring marketing blitz is targeted at gardeners suffering from cabin fever. And the catalogs do succeed in us getting ready, maybe a little too ready if we succumb to their temptations. Even I have fallen, and fallen hard, for the siren call of the catalogs. A couple of years ago, I became interested in growing dry soup beans. Never mind that they are inexpensive and readily available at the grocery. I wanted to grow heirloom dry soup beans. So, I ordered various varieties, like the white-and-maroon mottled Jacob’s Cattle, the black-and-white Holstein, and the two-toned and mottled cream and deep brown-red Hog Brains cowpea. These were definitely selections not available from the local grocery. In all, I went overboard and bought 25 different varieties. That experience helped me learn that when confronted with a pile of catalogs, I sometimes have to pause and come back to reality. Now, I’m not knocking the gardening catalogs -- far from it. As you know, the selection of plants at a local garden center can be limited. Sometimes, they are just the same varieties year after year. The big advantage of ordering from the catalogs is that you can get exactly the variety you want, and you can try some new varieties that sound interesting, too. Ordering seeds is an inexpensive way to try new plants, but do your research. Some plants, like tomatoes, need to be started inside for six to eight weeks before transplanting. For the novice gardener, this is important information. I find growing new selections or some old favorites an extremely satisfying gardening endeavor. Whenever I’m sowing seeds, I marvel at the potential contained in that seed. From a single, tiny seed, I could be harvesting 10 to 20 pounds of tomatoes in three months. The catalogs also allow home gardeners to select and grow varieties that ripen at different rates and times so the whole garden doesn’t have to be harvested all at once. I grow my Ocean Springs vegetable garden using a succession strategy, meaning I always have something new ripening all through the year. Ordering seed through the year can help you establish a gardening rhythm. Many gardeners ask me about growing heirloom vegetables and flowers. To be honest, I try to grow only heirloom varieties. Not that I’m a gardening snob or anything, but heirloom vegetables and flowers offer a broad range of colors and flavors, many not seen in hybrid varieties. The downside is they tend to be less resistant to diseases and pests. However, I think the tradeoff is worth taking. 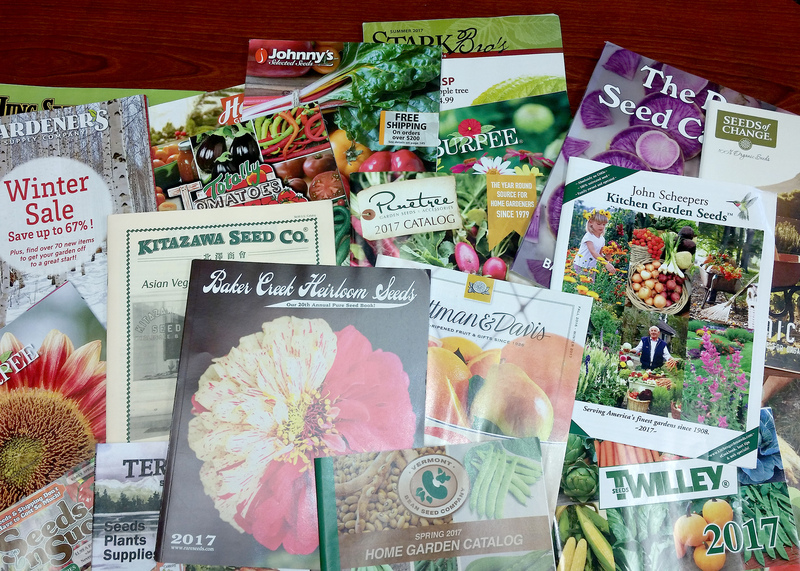 Catalogs are usually the only option for finding a wide selection of heirloom seeds. So, you may be wondering what catalogs I order from. I spread my seed purchases around maybe 12 different catalogs, but my main, go-to catalogs are Baker Creek Heirloom Seeds, Johnny’s Selected Seeds and Seeds of Change. Of course, this is not an all-inclusive recommendation, so be sure to try your favorite catalogs. 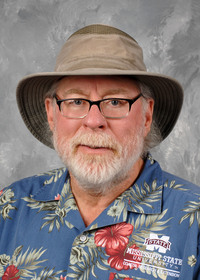 One last bit of advice about catalogs: They tend be full of jargon such as determinate or indeterminate, bush or pole, open pollenated or F1 hybrid, etc. A good garden terminology guide I recommend is “Garden-Pedia: An A to Z Guide to Gardening Terms.” This book can help you sort out what you want and make the garden jargon understandable.